He’s our president. And it’s very dynamic and as divisive of an inauguration and time as we’ve had. At the same time, it’s time for us to embrace and shake hands with this fact and be constructive with him over the next four years… So anyone, even those who may strongly disagree with his principles or things he’s said and done—and that’s another thing, we’ll see what he does compares to what he has said—no matter how much you even disagreed along the way, it’s time to think about how constructive can you be. McConaughey, apparently, skipped government class for bongo practice on the day “impeachment” was discussed, because there are many who don’t believe that Trump will last in the presidential role for the next four years. Nicole Kidman made a similar statement recently (although she tried to clarify her comments later), stepping away from the majority of Hollywood where many stand firmly against the new administration. 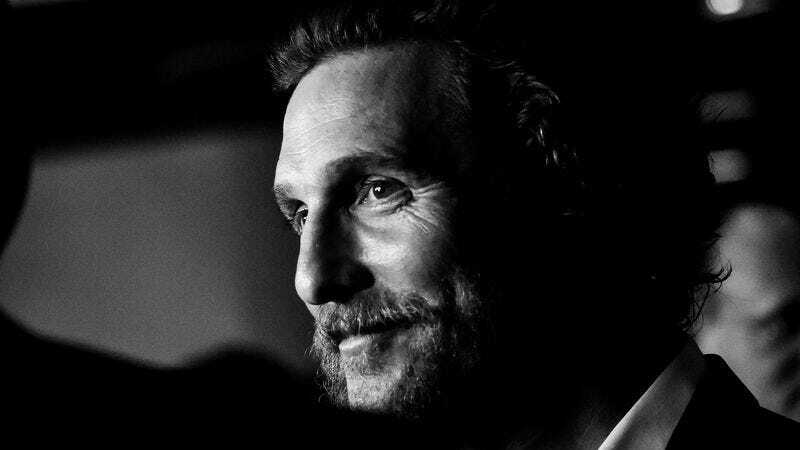 Perhaps awash in Wild Turkey and a sea of Lincoln Continentals, things look different from McConaughey’s perspective. He also could be adhering to his laid-back Just Keep Livin’ philosophy, which is the name of his foundation devoted to “the belief that to go along in life is to be naturally giving.” But the guy who said “time is a flat circle” should be able to see that, without resistance, we’re headed straight for 1933.